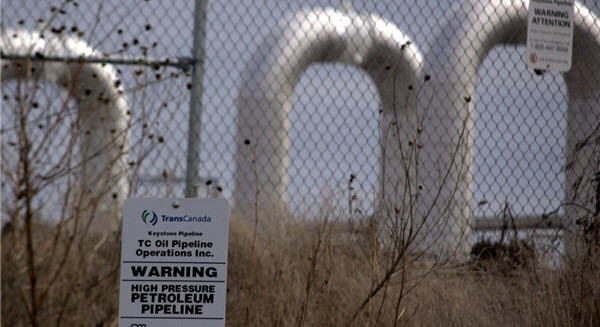 The Keystone XL pipeline may be unpopular with the president, but if it were up for referendum it would stand a good chance: 65% of Americans are in favour of building Keystone XL, according to a recent report by the Pew research Center. The non-partisan think-tank surveyed 1,500 adults in early September. 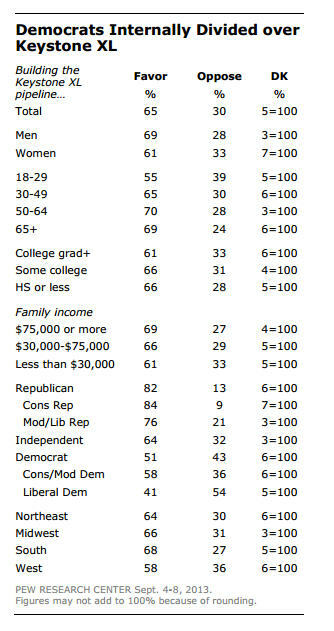 Unsurprisingly, there's a sharp partisan divide. Republicans are overwhelmingly in favour – 82%. Independents: 64%. Democrats: 51%. Meanwhile, the same group of survey respondents, by exactly the same margin as the pipeline, say they favour stricter limits on greenhouse gas emissions from power plants. Even a majority of Republicans support this. The pipeline, which would transport oil from Canada's oil sands to Texas refineries, is the subject of a hot debate between the two countries. President Barack Obama says he won't approve the project if it were to "significantly" increase carbon pollution. But Prime Minister Stephen Harper, who recently said he "won't take no for an answer," has been leading an unrelenting campaign to coax the White House into agreement. Other results in the national survey on US energy show that the American public is becoming more wary of traditional energy sources. Over the past year, opposition to hydraulic fracturing as well as nuclear power has grown, with 49% saying they oppose the increased use of fracturing. This figure has jumped by more than 10% since March. Nearly 60% of respondents say they are against the increased use of nuclear power – the highest level of opposition since the question was first asked in 2005. 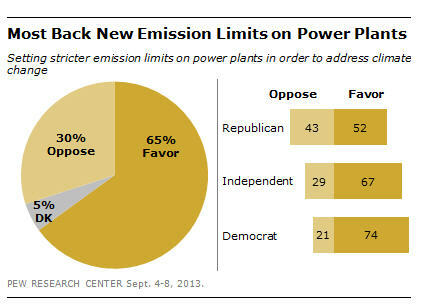 The sharpest partisan divide is over offshore drilling. Nearly 80% of Republicans want to see more of it, compared with 44% of democrats. When it comes to funding alternative energy, support is waning. In 2006, all three major political groups overwhelmingly supported funding for research on wind, solar and hydrogen technology. Now, Republican support has dropped by 24%. Independent support by 10%. Democrats are slightly more in favour.